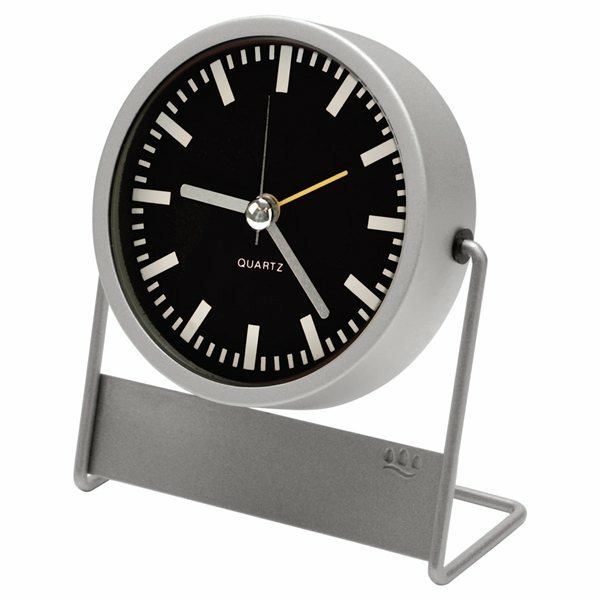 Metal quartz analog alarm desk clock swivels to the perfect viewing position. Features a nickel polished bezel, circular glass lens with steel frame. Precisely what we wanted. My orders arrived before the expected date.which was great! Product received on time. Customer happy with what they ordered. Customer service was outstanding. Thanks. Our distributors and customers loved this product. It is an easy size to use, there is versatility in it and it is well constructed. AnyPromo did a great job for us, imprinted the logo and sent the product out for ontime delivery. The product was precisely what we wanted. Overall, I was very satisfied with my order. Thank you. The quality is great and the cost is very affordable.